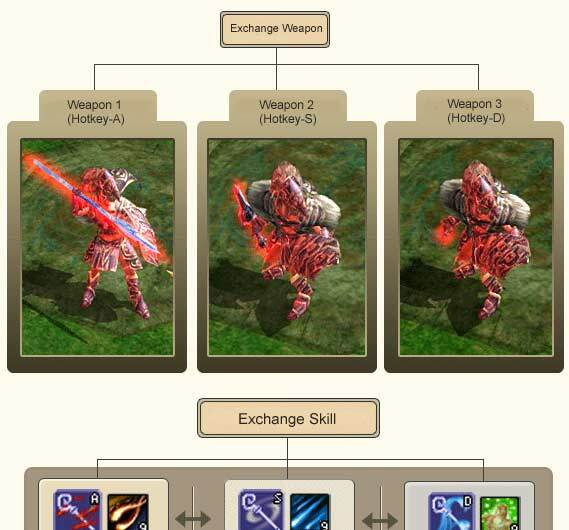 This is a guide to exchanging weapons and to skills. Exchanging weapons in The Thang online is not just about exchanging one weapon with another one. It is also about exchanging weapons along with skills used with those particular weapons. 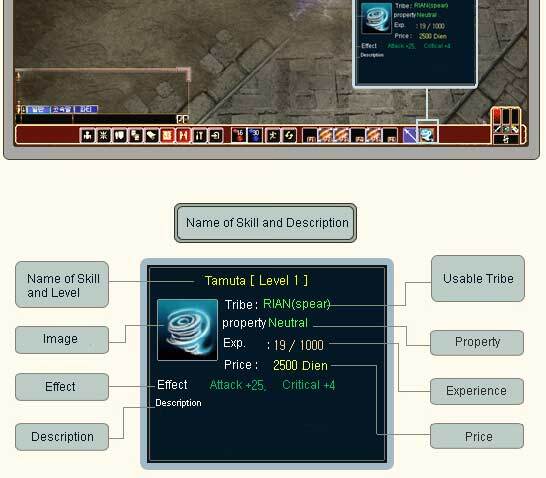 For example, if you want Ririsha to change her skills from Yelba-Na to Tar-Na, she must exchange her Yelba weapon with Tar weapon. That is, skills (magic) cannot be used independently; they must be used with corresponding weapons. Remember that skills (magic) should always be exchanged with weapons to use them.